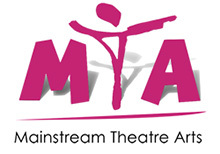 Mainstream Theatre Arts have an opportunity for a Greater Manchester based freelance teacher to aid the further development of a part- time children’s and youth theatre school. Working alongside the directors the duties will include, teaching musical theatre in childrens workshops, examination classes, private vocal coaching, and directing in youth theatre productions. The initial post will be permanent part time freelance requiring regular Saturdays and some evening hours. Further hours will be required for periodic productions and the post may develop accordingly. Applicants must have the relevant qualifications and a successful track record of teaching singing and musical theatre to children and young people. Those who play piano and read sheet music will have a distinct advantage. Applicants must also hold a current CRB or be willing to undergo CRB checks.